If you have questions about gate repairs, you can get answers from our experts. Wooden gates are easy to maintain but often it involves replacement of the wooden parts. According to experts of Gate Repair Santa Clarita, wooden gates get easily rotten and needs frequent maintenance checkups. With frequent exposure to rain and intense heat from the sun, wood tends to get rotten faster. To repair wooden gates, you can cut rotten areas and put wood fillers or totally replace the lumber. When your gate gets defective, experts from Gate Repair Santa Clarita suggest you initially do simple electric gate repairs. You can check if there is enough power going through your electrical wires. Check if the transmitters are working properly or if they need a change in batteries. If everything is working properly and there still is something wrong with your gate, you can check the motors. What can I do to avoid rusting of my steel gate? 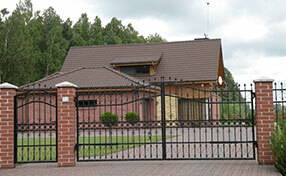 Steel gates are very prone to rusting, especially in wet and humid areas. 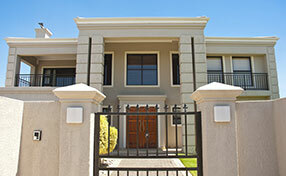 Our experts recommend applying an anti-rust agent or compound on the steel gate and reapply as necessary. It would also help to apply water-repelling coats so the metal wouldn’t interact with water in the environment. What should I do when the gate is jammed? First, remain cool and do not try to force the gate to open. Then check if there are obstructions in its path or even the photocells that send out a safety beam. As gates are located outdoors, even small debris or dirt can affect the functioning of the photocells. Which is better, a telephone entry system or intercom? The telephone entry system alerts all the phones on the line while the intercom alerts a single spot. Choose the best one for you. How big can my front gate be if I want it to be automatic? In today's market, there is a suitable opener for any size of gate. If you think your front gate is especially large and heavy, you may need to a gate repair expert to come and assess the specifications that are needed.